WINTER IS CREEPING IN SO IT’S TIME TO START PUTTING AWAY THOSE SUMMER DRESSES AND PULLING OUT THOSE WINTER FAVS. I am a person who loves her clothes, shoes and things so when the cooler weather starts to show itself I get excited to be able to pull out some of my winter favs. I actually get excited for the change in weather because it also brings a change in closet choices, it inspires me get creative with my winter wardrobe. It is also a good excuse to sort, tidy and Spring Clean out my beloved closet! Before you start empty out EVERYTHING! Start with a clean, empty slate. 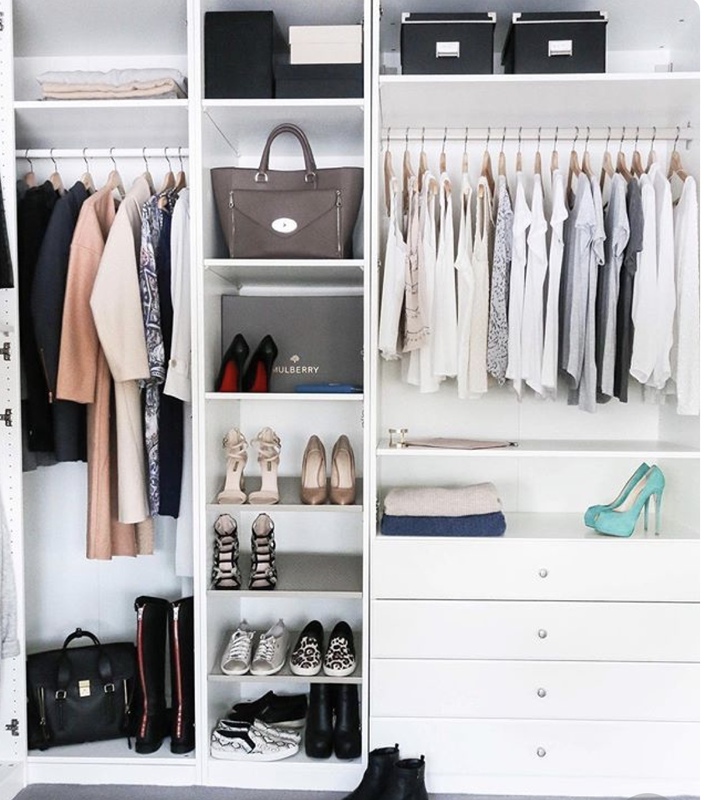 This is a good time to not only sort through each and every item in your wardrobe but to get creative with the space you have. 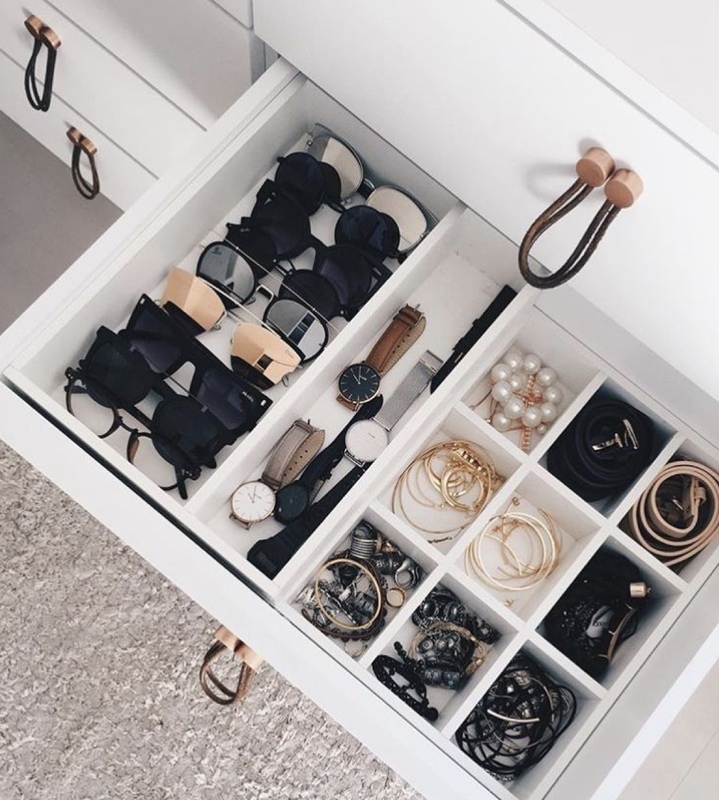 My dream wardrobe would be a large walk in robe with a beautiful chair or bench seat with studs, an island table with fresh flowers in the middle and draws to lay out all my jewellery, sunglasses and accessories, aaahhhhh. My reality is I have a double sided, basic wardrobe with glass sliding doors! 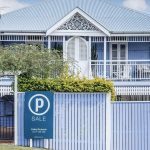 This doesn’t mean it has to be a boring space inside!! Time to be creative but first lets Spring Clean this baby! WHERE TO START? 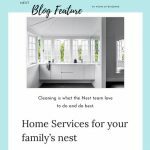 – LETS START SPRING CLEANING! Once you have emptied out your entire wardrobe its time to start Spring Cleaning. Get a damp cloth, add a few drops of essential oils to freshen everything up and have it smelling beautiful in preparation to re hang all your clothes. I love lemon oil because it has that clean, fresh smell that lingers for ages. You can even leave a few cotton wool balls with a few drops of oil to keep this space smelling fresher for longer. Take your time, really think about what you want to place where. 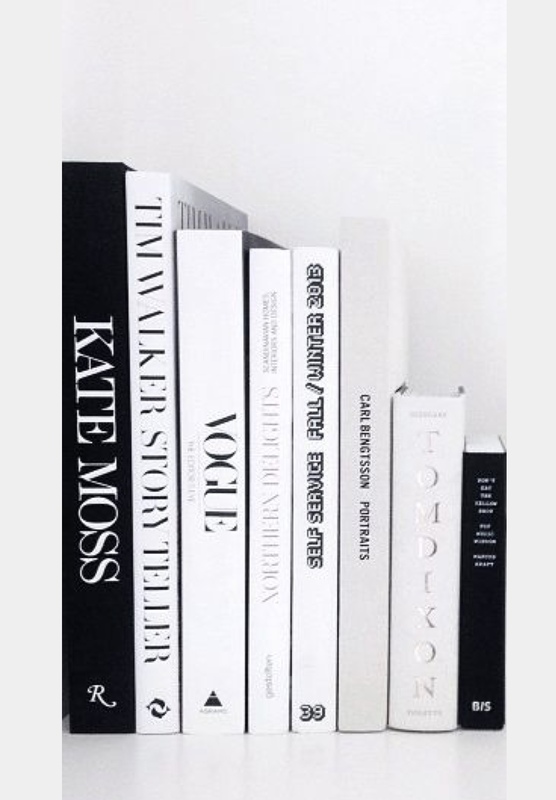 I have areas where I keep my books on fashion, my handbags and my perfumes that I love. Remove any items from your pile that you no longer want, set this aside to donate or sell at a later stage. Start to re hang and organise each piece, making sure that you are happy with the way everything looks and the space that you have created for each belonging, this includes your books, bags, shoes, scarfs etc. Add a photograph, display your watch collection, use your imagination! 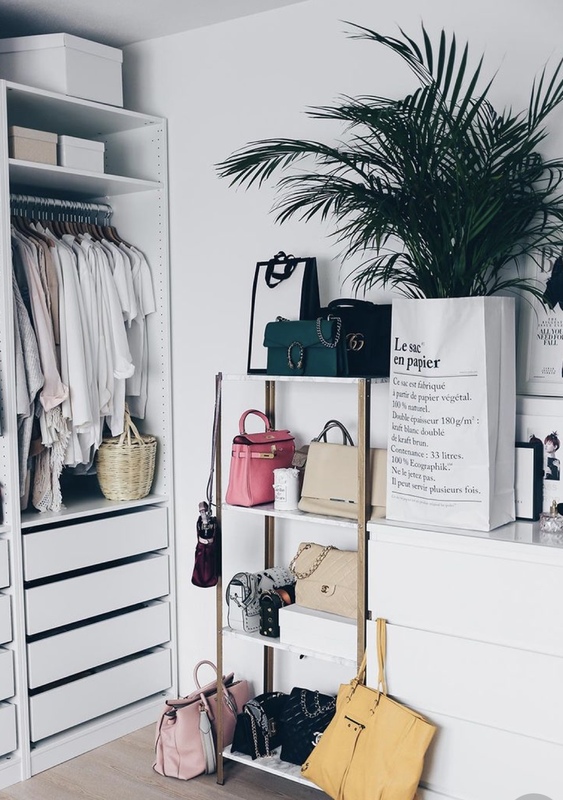 Enjoy what you have done and created with this space by simply using your imagination, gathering the things you love and giving your closet a good, thorough Spring Clean.